Opal's name evolved from the Roman word opalus which was derived from the Greek opallios, meaning "to see a change of color." The Greek word was a modification of the ancient Indian Sanskrit name for opal, upala, which meant "precious stone." Opal was formed many millions of years ago when a combination of silica and water flowed into cracks and spaces in the ground. This then gradually hardened and solidified to become opal. 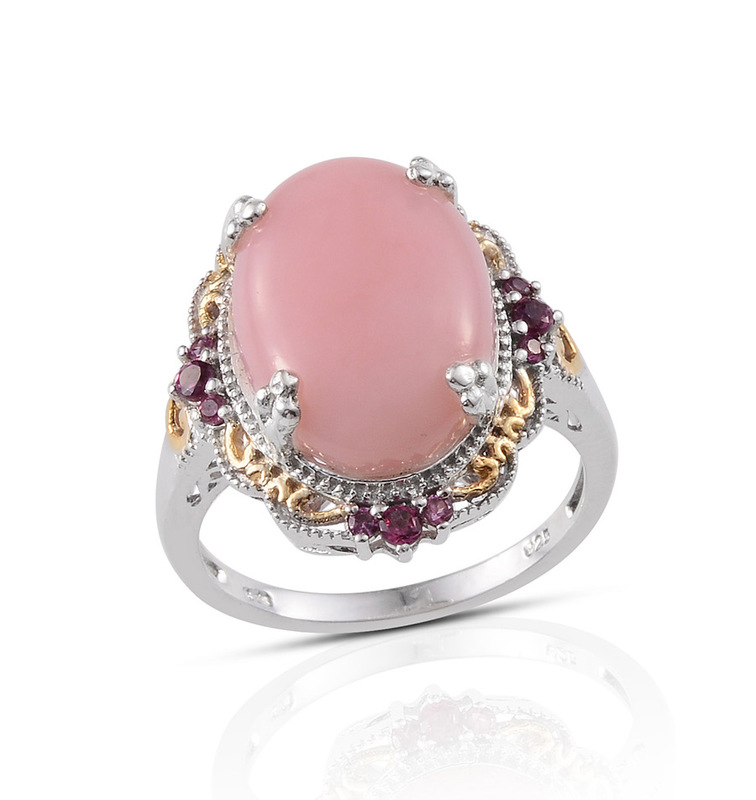 The pink opal derives its color from trace amounts of included organic compounds known as quinones. These opals range from opaque to translucent and depending on how the stone is cut the color will either be clear or show the stone's matrix and inclusions. (Like agates some Peruvian opals show the scenic fern-like dendritic inclusions.) Peruvian opal is also known as Andean opal. 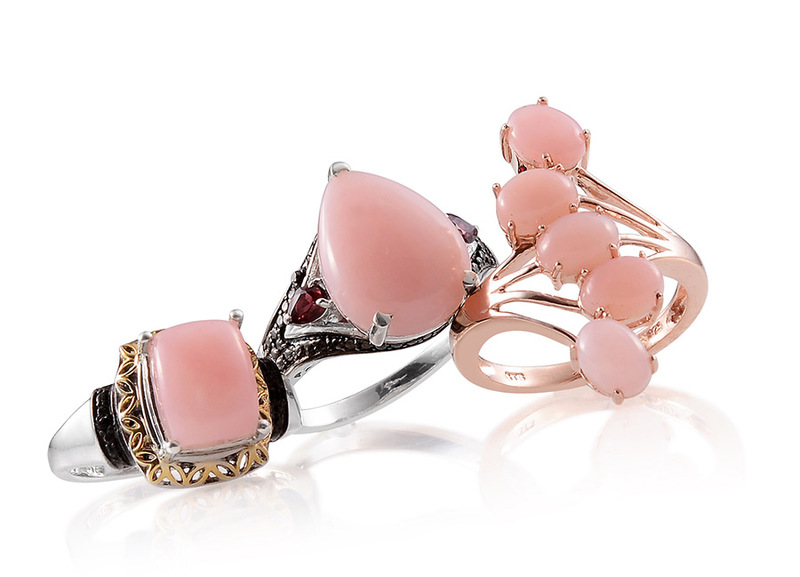 Because pink is a fashion favorite Pink Opal is a gem that is much in demand. 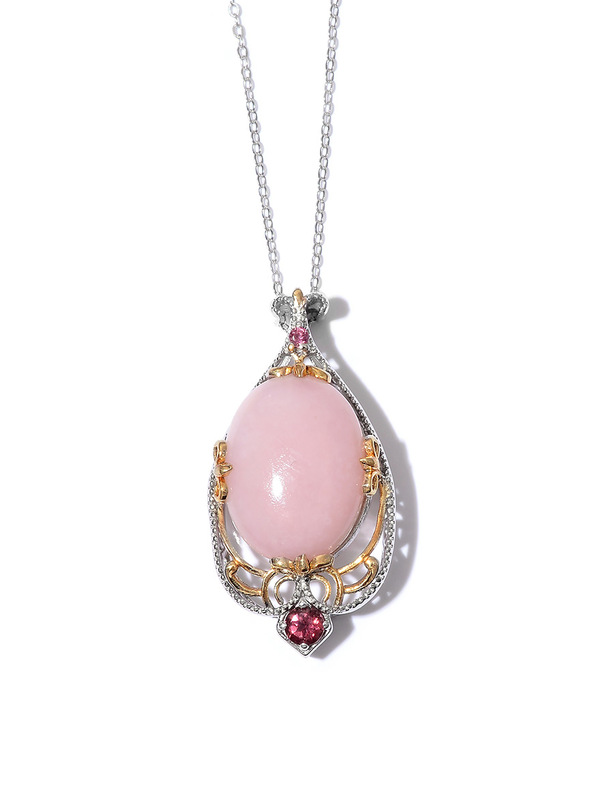 This pretty pink gemstone is rarely seen offered for sale in standard jewelry stores. • Historically opal was considered a lucky charm that brought beauty success and happiness to its wearer. The early Greeks believed opals embodied the powers of foresight and prophecy. • The Romans also cherished opals considering them to be a symbol of hope and purity. • The Arabs thought that opals must have fallen from heaven in flashes of lightning. According to Arab tradition it is believed that opals prevent lightning strikes shield its wearer from any undesirable elements in their day-to-day lives and give a cloak of invisibility to its wearer when desired. • Queen Victoria became a lover of opal and wore opals throughout her reign. Her friends and her five daughters were presented with fine opals. Opal became highly sought after because the Royal Court of Britain was regarded as the model for fashion around the world and fine quality opal had recently been discovered in far-off Australia. • Shakespeare featured opal in his literature referring to it in the Twelfth Night as the Queen of Gems. Mexican Pink Opal is very rare and is only found in a few places on Earth. 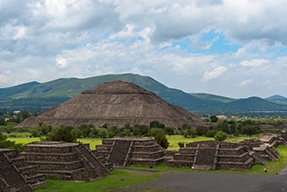 The stones are a whitish pink when mined. You could call them a pastel pink; serene and pleasant. The important thing is that these stones are naturally pink and do not have to go through any color treatment to enhance their color. Peruvian Pink Opal's hardness is 5.5 to 6 on the Mohs' scale. Opal is the modern October birthstone and gem for the 14th wedding anniversary. 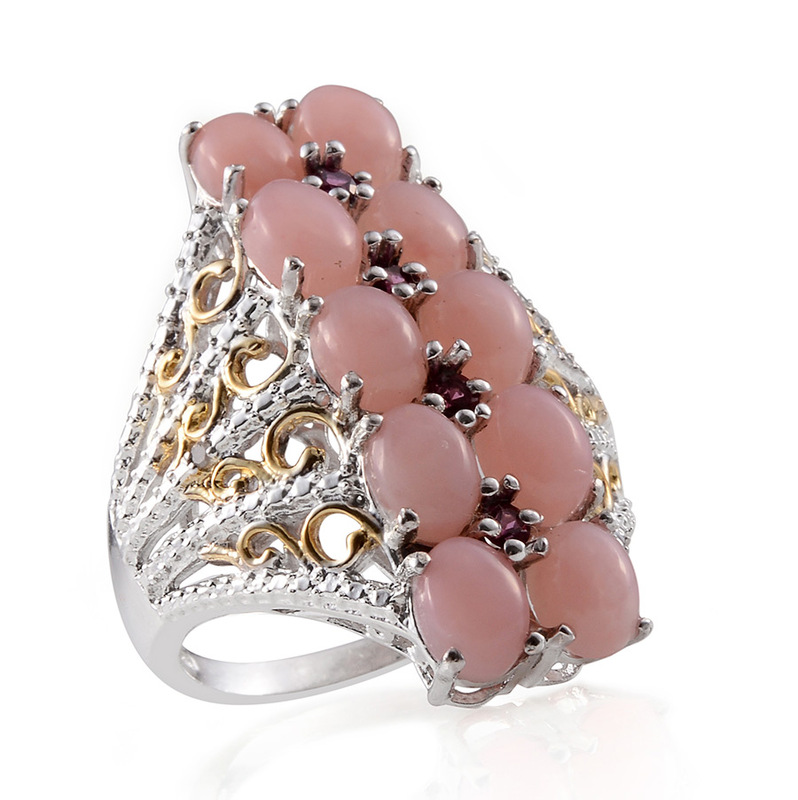 Peruvian Pink Opals are 100% natural.